Welcome to jobaffairs4u, As we know that assignments are a integral part of any course whether it's a regular or distance course. 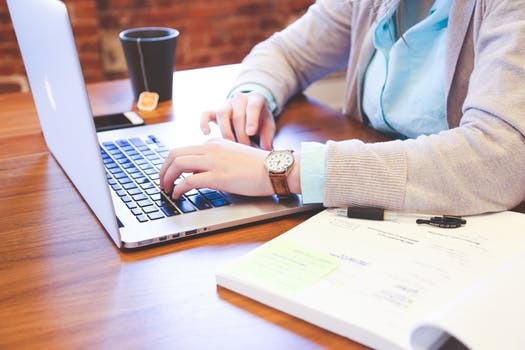 IGNOU has also given importance to the development of Assignment as a pre- learning or revision tool of the particular course. IGNOU DELED assignments Booklet cover all the questions from all blocks of books as per IGNOU DELED course. Students who are persuing their courses from IGNOU are always in a search of their respective course solved assignments. 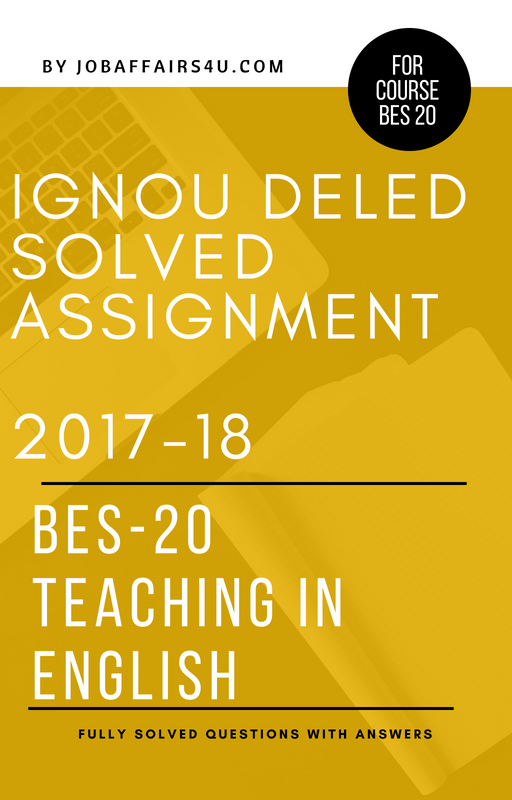 So toady in this post you will find All solved assignments of IGNOU DELED for 2017-18. 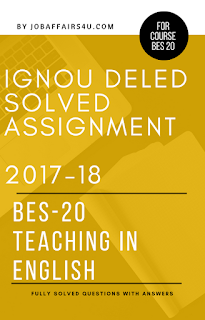 To help All IGNOU DELED students , Solved Reference answers for IGNOU DELED Assignments 2017-18 are given below. IGNOU DELED Solved Assignments can be purchased with a minimum price of Rs 30 per course code. 1. File is in PDF format and Printable.